This documents the various organic farming and sustainable practices GREEN introduces to farmers in its training sessions. 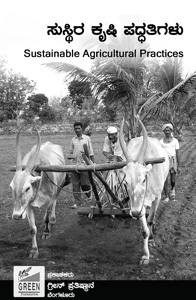 It gives detailed, step-by-step procedures to various farming practices such as seed treatment and storage techniques, organic manure and herbal pesticide preparations, improved agricultural practices such as System of Rice Intensification (SRI) etc. A compilation and varietal description of indigenous seed varieties. package of practices relating to indigenous sorghum varieties of Karnataka.